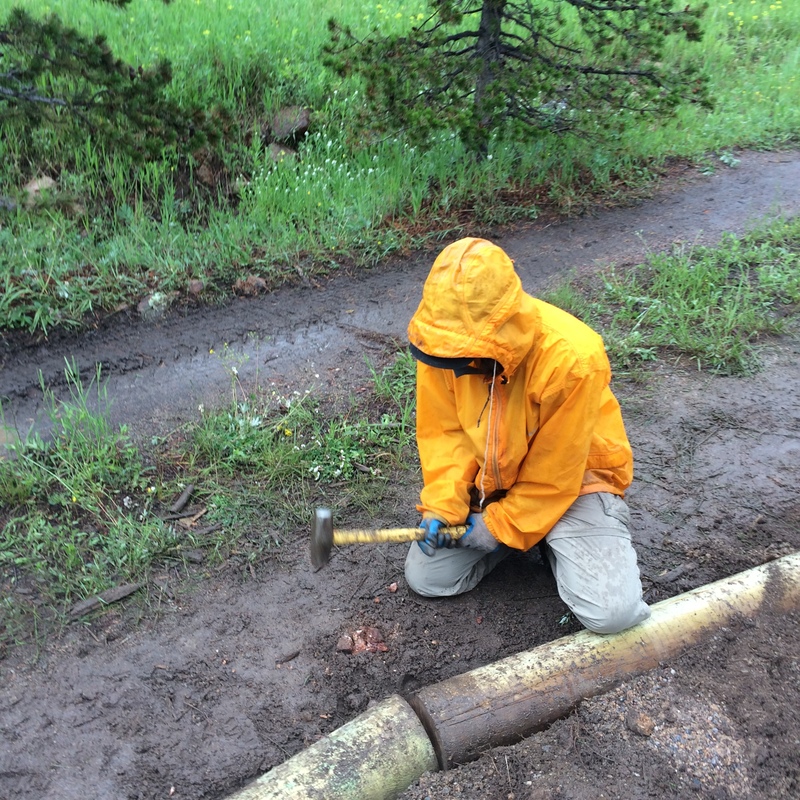 This past week all of the crews returned to Estes Park for Education Week. 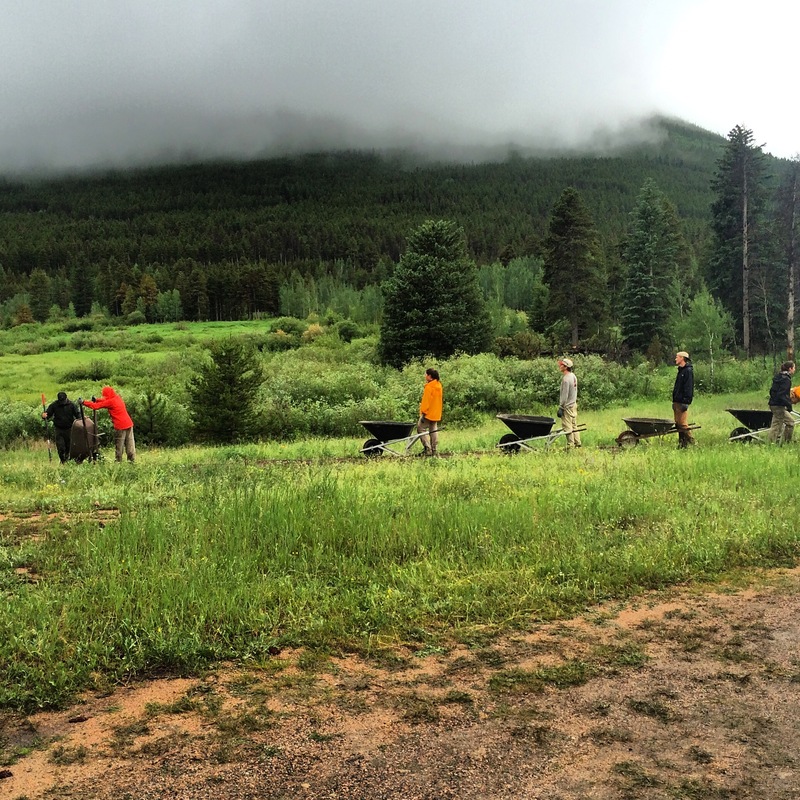 During this week, the Rocky Mountain Conservancy – Conservation Corps joins together for an all-crew work project in Rocky Mountain National Park, participates in educational programming, and meets with the Program Manager to touch base on the progress of the season and look forward to what is to come. I’ll be honest we didn’t take too many photos this week because the weather made it an effort just to be outside for most of the week, but here is our recap! 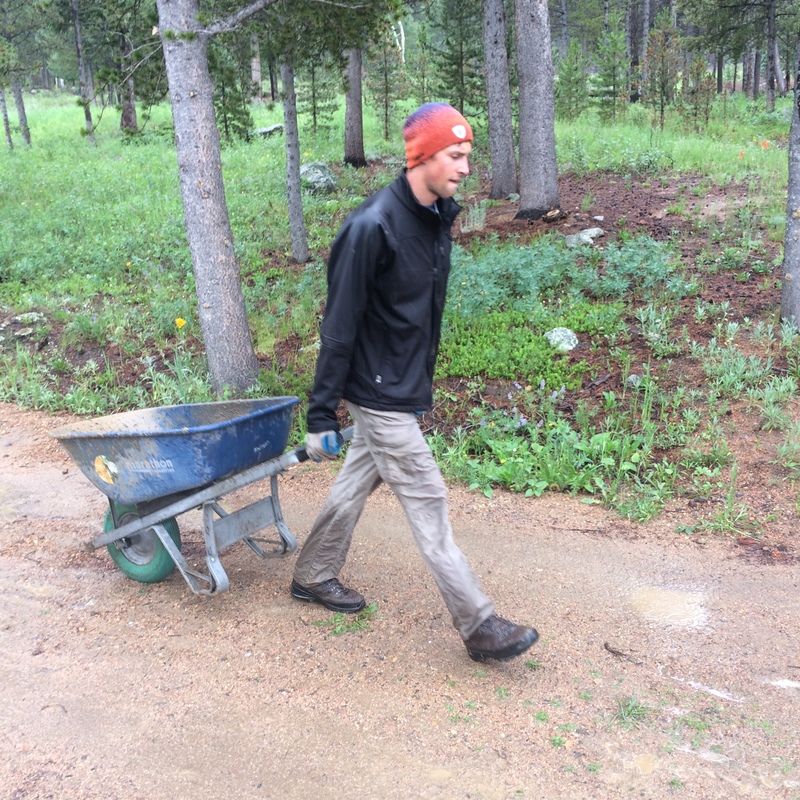 On Sunday all of the crews returned to the Moraine Park Campground to set up camp and prepare for the week. 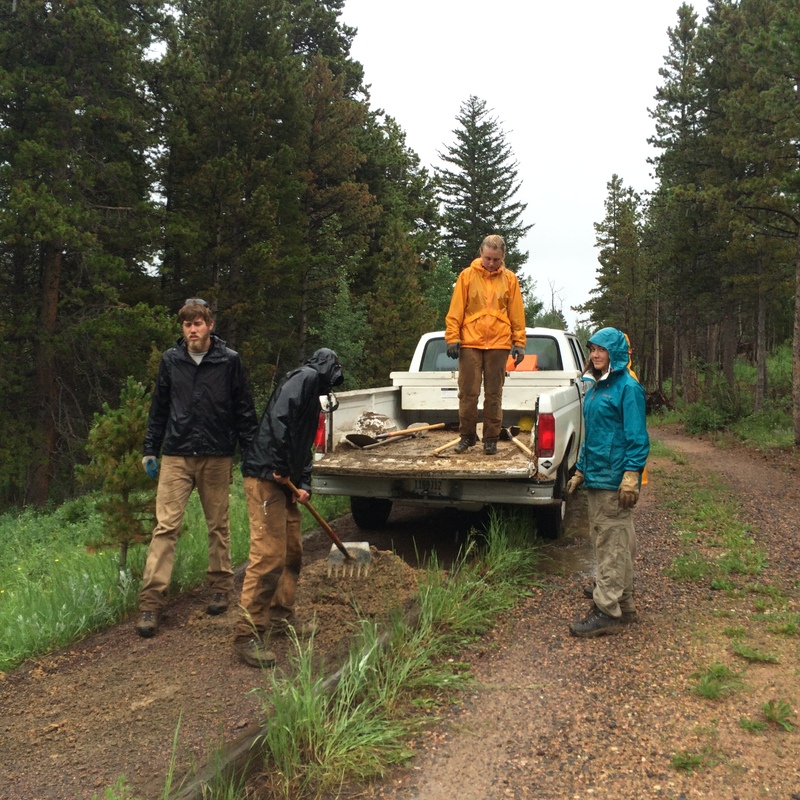 Monday morning the crews were granted a little later start than usual and met with Dave from the NPS trails division to complete a work project at Lily Lake. 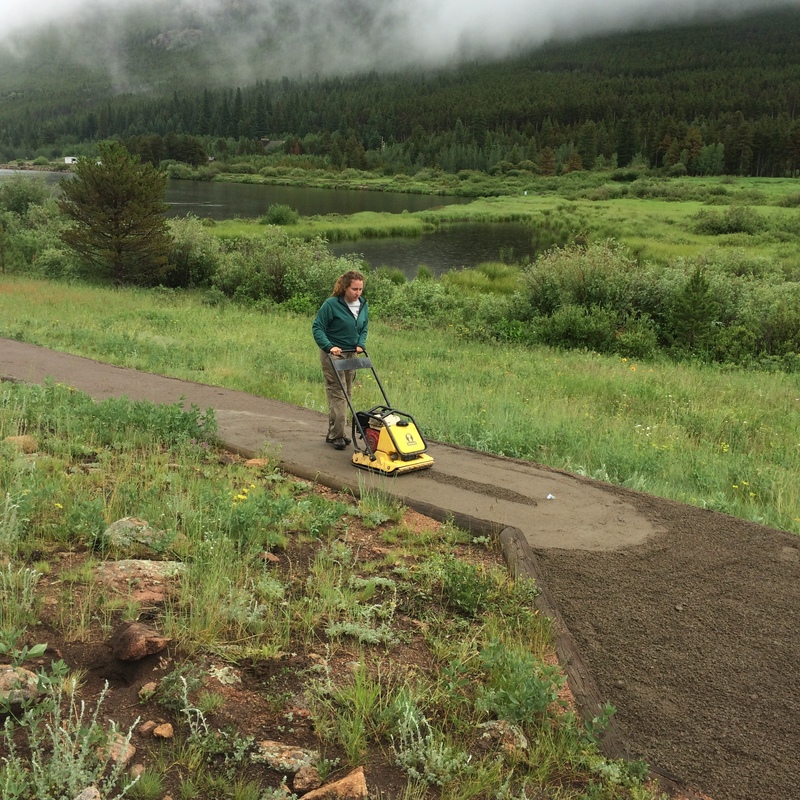 The Crews worked to retread a section of the accessible trail headed towards one of the few wedding sites in RMNP. 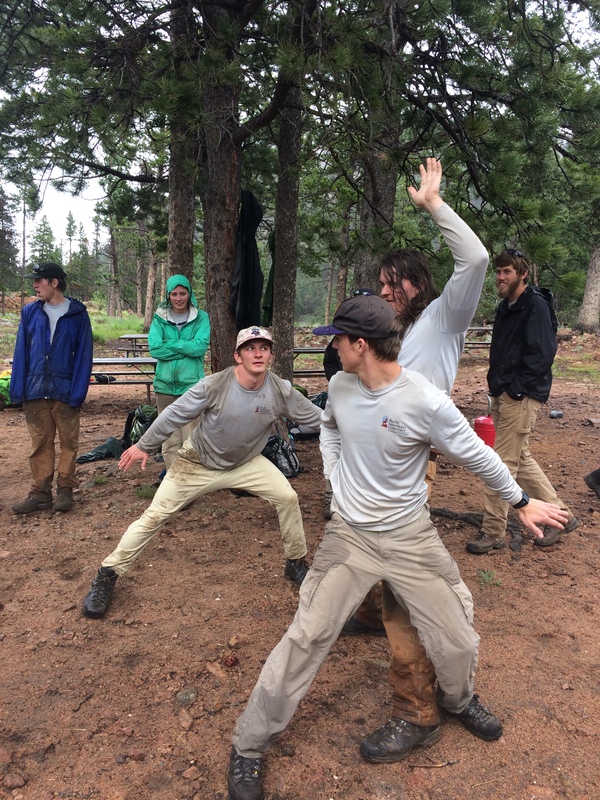 The weather was relentless all day; however, the crews moved over 30 cubic yards of dirt in under six hours while fitting in a few games of ninja during the breaks. 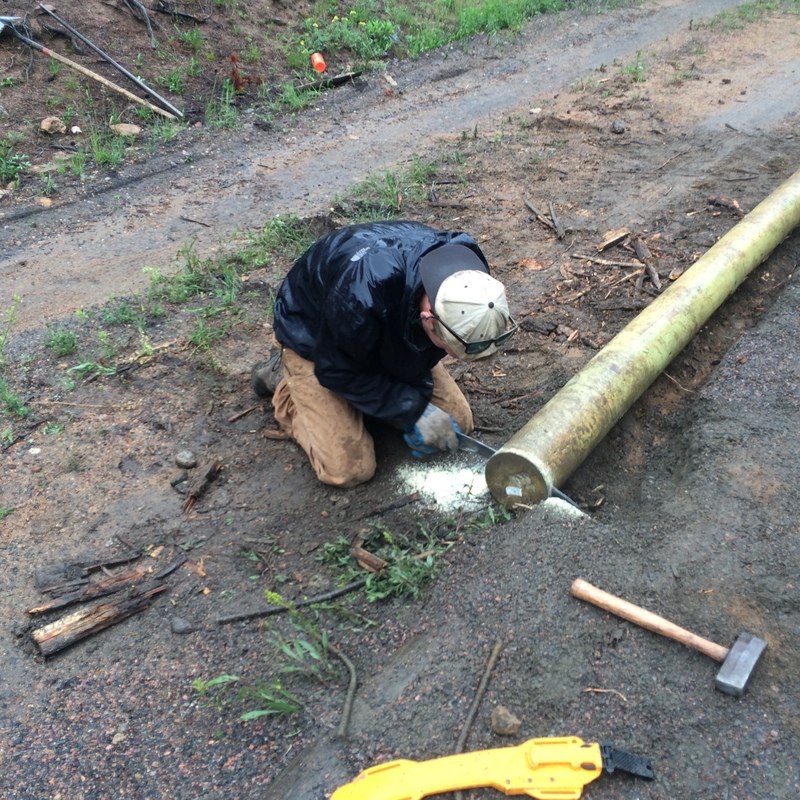 Tuesday was a split day for the crews. Half of the folks spent the morning with Rocky Mountain Conservancy’s Education Director, Rachel Balduzzi, exploring career opportunities with the National Park Service on a Behind the Scenes Tour, while the other half enjoyed a morning of mid-season review and evaluation. After enjoying a pizza lunch on us, the crews switched places for the afternoon. Stay tuned for updates on the evaluations! 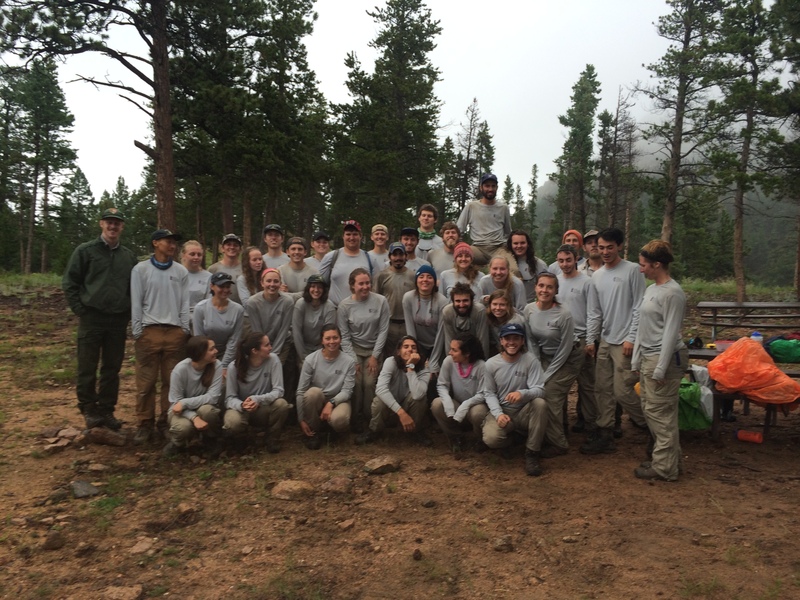 Wednesday and Thursday the crews got to spend the day in the field taking educational courses related to the cultural and natural history of Rocky Mountain National Park. On each day the crew members and leaders had a choice of three. 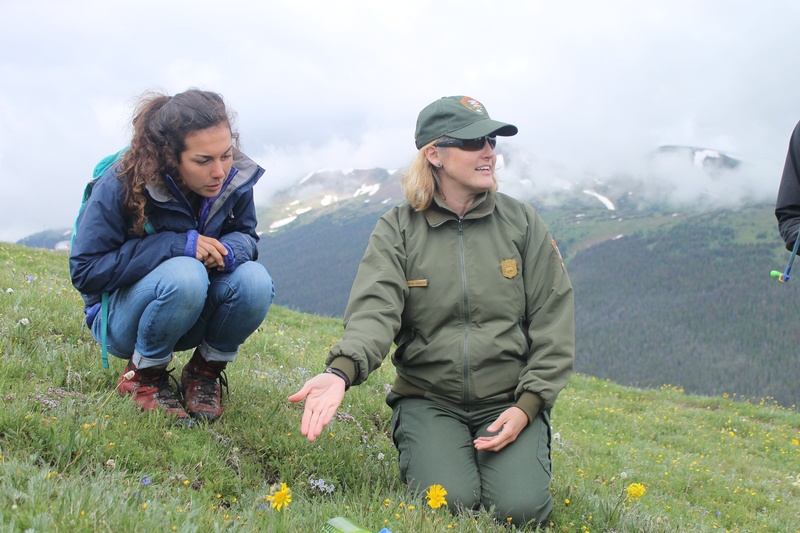 Shadow Mountain Crew Leader, MegEllen Kimmett, with Interpretive Ranger, Cynthia exploring the wildflowers of the tundra.